Swedish hip-hop artist Ken Ring has said he expects Sweden to descend into a civil war in the next 20 years and that he is planning on moving to Africa, which he believes will be safer. Ring made the comments on Norwegian television programme Trygdekontoret which was broadcast on the Norwegian government-owned broadcaster NRK on Friday night. Ring, who grew up in the Stockholm suburb of Hässelby, said that the area had been relatively calm in his childhood but recently had seen a dramatic escalation of violence. “Today there is an open gang war. My big brother was murdered,” Ring told the programme. He said that violent organised crime coupled with an increase of drug trafficking had radically transformed the area. The musician said that immigration levels had exploded in the suburb saying the area has taken in as many immigrants as possible and that the escalating conflicts between migrants and locals were forcing a crack in the local society. Journalists, according to Ring, rarely ever visit the no-go zone suburbs around Stockholm. “They have never ever sat down in Rinkeby, Hässelby or Fittja,” he said. Violent crime, including shootings and grenade attacks, has surged in many of the country’s no-go zones over the last few years in the wake of the 2015 migrant crisis. 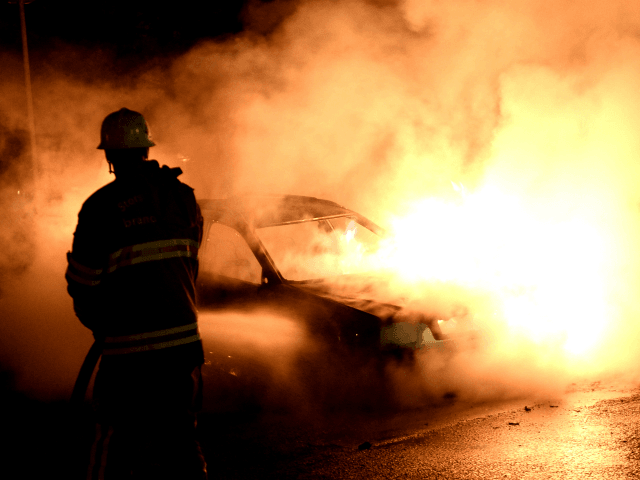 While in the past only parties like the anti-mass migration Sweden Democrats had railed against the criminality in no-go zones, more and more establishment figures have been forced to admit the problem. Earlier this year, Swedish Prime Minister Stefan Löfven refused to rule out sending in the military to help restore order. Rapper Ken Ring is not the only one to predict a potential civil war due to mass migration and Islamisation. France’s top scholar on radical Islam Gilles Kepel made a similar warning in 2016, stating that Europe could be heading down a path to civil conflict.